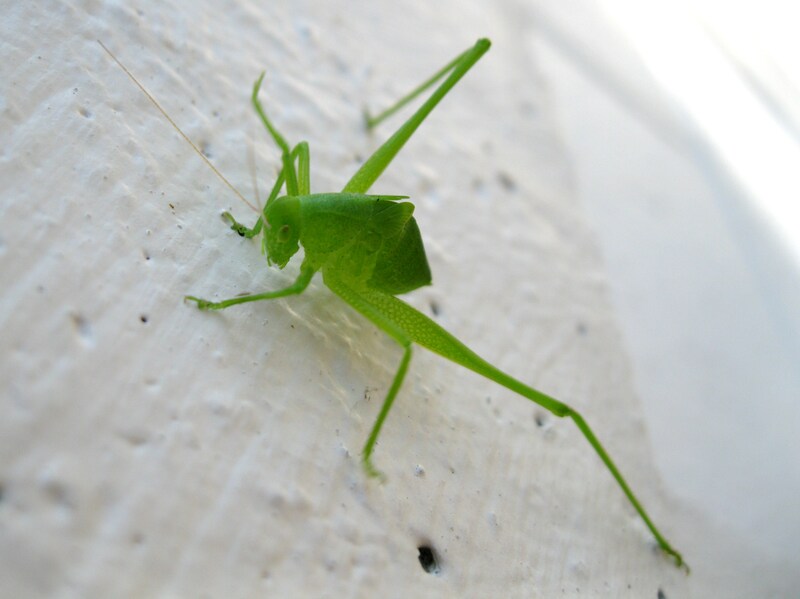 Katy Is, Katy Does, Katydid! Another green insect that I’d somehow never seen before, at least not since I started noticing insects, and within a few feet of where I found the last green insect: a katydid! I know, I’ve been writing a LOT of bug posts lately, but bear with me. These singing insects can be distinguished from other Orthoptera by their long antennae. There are about 255 species in North America, according to Wikipedia, and please don’t ask me which one this is! 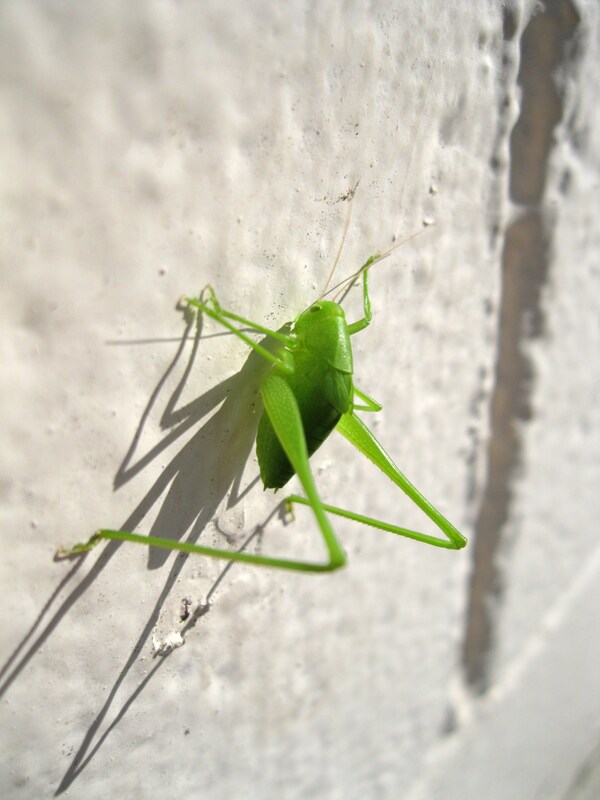 Katydids have some unusual and interesting color morphs, like the famous pink katydid discovered in central Ohio a couple years ago (by someone who is now actually an occasional reader of this blog, in fact – hi Jan). They also walk with a jerky, rocking gait that’s fascinating to watch, which I managed to get a video of. If anyone knows the adaptive purpose of walking like this, please enlighten me; it reminds me of how chameleons move. It’s the only bug that I ad-d-d-door. Their nymph form is pretty amazing too. I posted photos of one a few months ago- they have incredible colors and don’t look real to me.